My very presence in the room changes the ratio in NYtech scene. I am ‘older”… seriously most of these folks are closer to my son’s age! I prefer to say I speak geek! Thankfully I am seeing more black females in the Hackathons. We have a need to qualify and define! I am a BWIT, a black woman in tech … still it bothers me this need to define … it sets limits! Ultimately it sets up uncomfortable scenarios for pattern matching! We can go into long debates on the merits of ” Pattern Matching”, in the end though it results in “isms” and is counter productive to growth! the truth is patterns are a safety net ! Simply put they are often afraid to fail! Innovation means stepping outside of patterns! At hacks developers are Gods… and in the competitive scenarios many seek to team up with the best! I do not “match the pattern” of someone who will be great at a hack.. yet I am. Having won two best use of API at two hacks… now developers look beyond the “pattern” they see. What they missed was my experience… I have a ton of experience walking creative through their business model. I have made fromerly failing businesses successful! I’ve found that the best tech business ideas come from mixed teams of experts in a niche, developers, front end designers, and business professionals! In recruiting for Tibiae Tech I looked past the obvious patterns and found some gems! Definitions can limit you but they can also give you structure. So many tech companies have failed because they refused to define themselves. Many start without defining a product , it’s no wonder they fail! 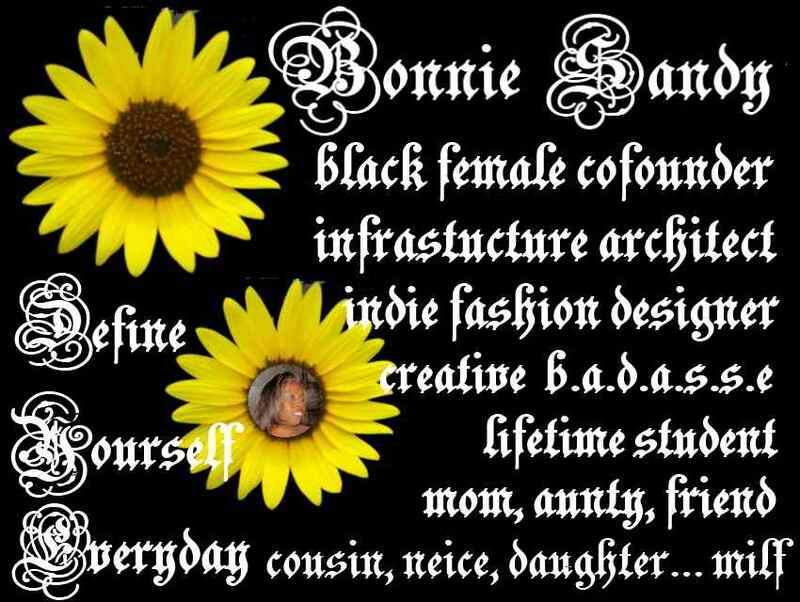 I am a Black Female cofounder, an Infrastuture architect for the dreams of many. I am an Indie Fashion Designer… with a deep interest in applicable Fashion Tech. I am an advocate with 30 years experience of changing policy and behavior creating change! the latter I had to ask my son what it meant… For an “older” woman It was a “fresh” (no pun intended) compliment! Look I may speak tech, I don’t speak text! Posted in Latest and tagged As I See IT, Latest, Personal Growth, Tibiae Tech.